Does anyone else have a small hoard of Jackie, Patches and Smash Hits magazines featuring Squeeze? I remember buying Smash Hits magazine a few times but my friend Sally always had to buy me Jackie and Patches if Squeeze were in there and cut the relevant pages out for me so she never sent me the full magazine. She was very considerate that way. 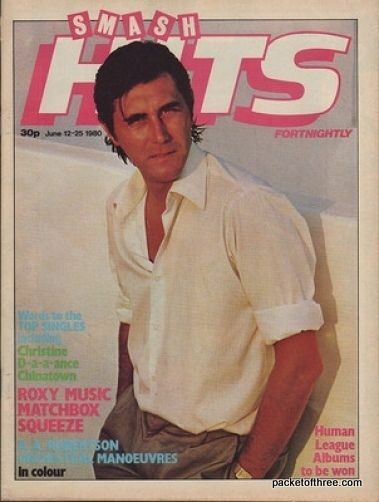 One Response to "Jackie, Patches and Smash Hits"
Smash Hits was my magazine of choice during the late 70s and early 80s and I’ve already sent you a couple of articles on Jools leaving Squeeze (the first time) and Squeeze’s last gig (also the first time). My elder sisters’ preference was Jackie though mainly for the the pull-out pictures of Donny Osmond, David Cassidy, David Essex etc.